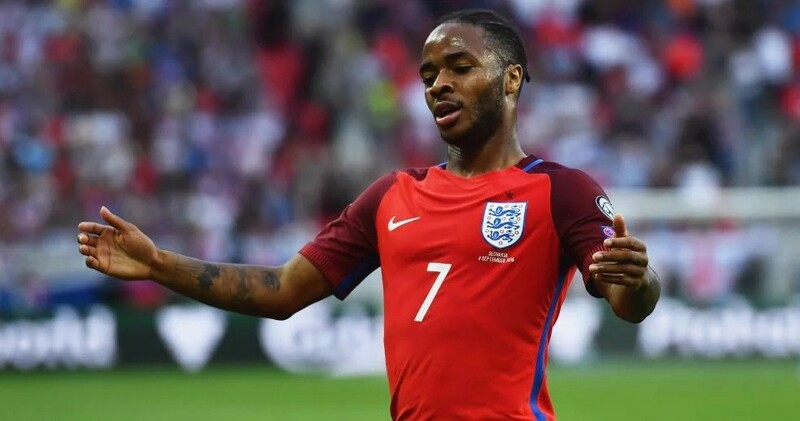 Former Liverpool attacker Raheem Sterling paid tribute to a late Crystal Palace player during the Three Lions’ dominant win over Czech Republic in their Euro 2020 qualifying opener. The Three Lions of England had too much quality for their opponents with the help of Manchester City forward Raheem Sterling. He scored a treble as England ran out 5-0 winners in their Group A clash at the Wembley Stadium. After his hattrick goal, Raheem Sterling raised his shirt up in tribute to Damary Dawkins who died of leukaemia earlier this week. Sterling had the image of himself and the late Crystal Palace youth player underneath his shirt. Apart from the treble from the Manchester City player, a first half penalty from Tottenham Hotspur striker Harry Kane and a Tomas Kalas own goal ensured that England started the Euro 2020 qualifiers with a five-star performance. Raheem Sterling was able to match a 20-year feat achieved by Premier League legend Alan Shearer with the help of his treble. He became the first England player to score a hattrick for club and country within the same month for the first time in 20 years (since Alan Shearer achieved the feat in 1999). Sterling scored three goals during his last league game for Manchester City, a 3-1 home win over Watford.